Matthew Mehaffey is a Consultant working with Westaway Law Group. He previously completed his Ryerson University Law Placement Program Work Placement with the firm. Matthew has a law degree from the University of British Columbia. Prior to joining Westaway Law Group, Matthew had been the Principal at Mehaffey Consulting since 2005, having joined in 2003. Mehaffey Consulting was founded in 1993 by Hal Mehaffey after spending more than a decade working for the First Nation of Nacho Nyak Dun in Mayo, Yukon and represented Indigenous Governments in negotiations related to modern treaties and self-government across northern and western Canada. 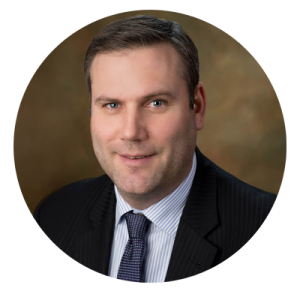 In addition to administration of justice negotiations and treaty implementation management advice, Matthew specialized in fiscal negotiations, including financial transfer agreements, taxation and resource sharing agreements and funding for programs and services. This includes long-term fiscal modelling, economic impact assessments, review and renegotiation of transfer agreements, personal income tax sharing agreements, goods and services tax agreements, renewable and non-renewable resource sharing arrangements and program needs assessments. Matthew participates in the Land Claims Agreements Coalition Fiscal Working Group, is a director of Da Daghay Development Corporation and recently co-authored a chapter in The Right Relationship: Reimagining the Implementation of Historical Treaties, Edited by John Burrows and Michael Coyle.